For back to school or tic tac toe, for mathematics or on the go. 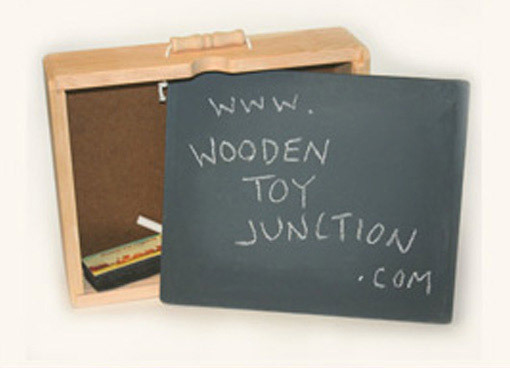 It's a wooden briefcase with two dry erase surfaces and removable chalkboard. 12.5" x 10.5" x 3"